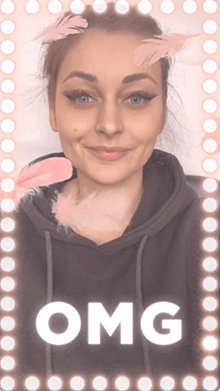 “L’Oréal is one the first beauty companies to use Facebook’s Camera Effects Platform, developing a series of interactive filters. Pepsi has always been a brand associated with creativity in their marketing. Staying ahead of the curve, Pepsi is leading this great initiative. The filters ooze a young, hip, mood for the youth whilst recreating a nostalgic 80s/90s feel for those old enough to remember. 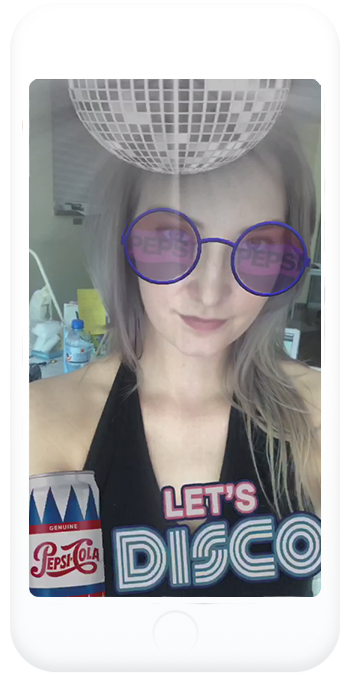 Read more: Pepsi Pakistan leads the Facebook AR Filter revolution! 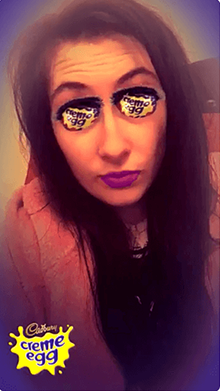 One of Cadbury’s most popular confections made its way onto Snapchatters’ faces, driving over 14M views and 24 seconds of play time. 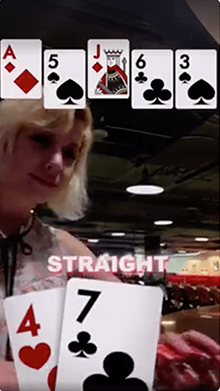 Play a round of Texas Hold’em using this Snapchat lens. Royal flush! 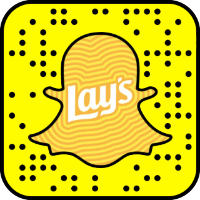 Try the new flavours of Lay’s – even if you’re dieting RN, you can try them in AR! Have you seen a head band made out of chips? Now you can get one together with some other crazy ones, all it takes is a tap! 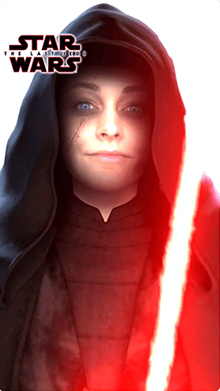 Fulfill your destiny with the new Star Wars: The Last Jedi camera effect. Take a trip to Skull Island in a chopper – all without leaving Snapchat. 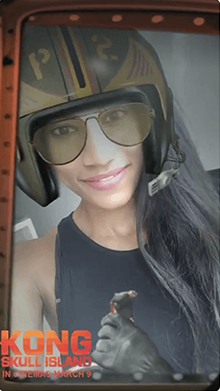 Enter the portal into an AR reality using this Ready Player One Snapchat lens. 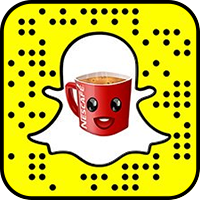 Nescafé generated 4.9m total plays with a Lens that allowed Snapchatters in France to fog up their phone and invite friends out for coffee. Lionsgate worked with Snapchat to develop a face-in-video Lens experience to drive engagement and reintroduce Tyler Perry’s star character Madea. The Lens went live on Friday the 13th, a week before the movie’s premier, to drum up buzz in advance of its release. The Boo2! Lens owned Friday the 13th, enjoying an average of 16 seconds play time, over 80M impressions, and a 12% share rate. 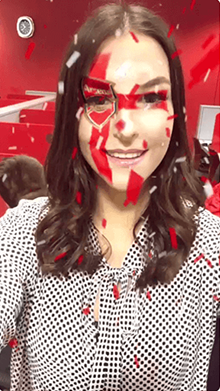 Rimmel Lond created Facebook camera effect that allows you to put ornaments on your face. Simply choose the spot where you want to place them and have fun! 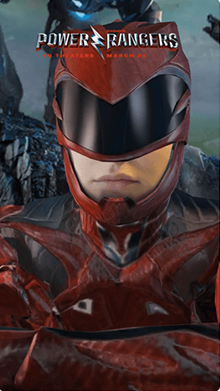 Paramount Pictures is giving New Zealanders a Transformers-themed makeover on Snapchat to celebrate the release of Transformers: The Last Knight. 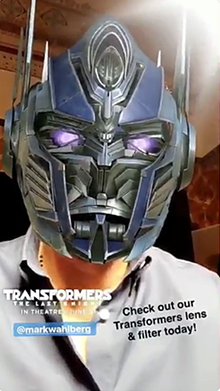 The campaign has seen Paramount Pictures New Zealand partner with Snapchat to create a filter that puts a mask of characters Optimus Prime and Bumblebee on the user. 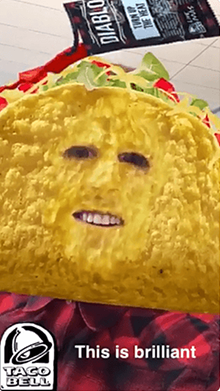 Sponsored National Lens that turns Snapchatters into Taco Bell’s most iconic product. On average, Snapchatters spent 24 seconds with the Lens, generating nearly 12.5 years’ worth of play in a single day. 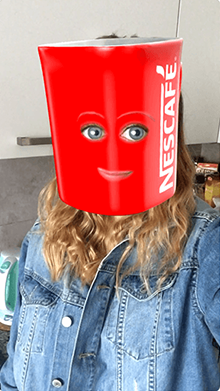 Not only did Snapchatters interact with the Lens, but they also sent it widely to their friends. 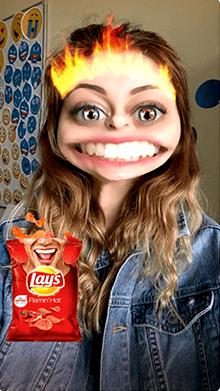 Together, Taco Bell and Snapchat made history, garnering 224 million views for the campaign — the most for any Snapchat Lens to date. 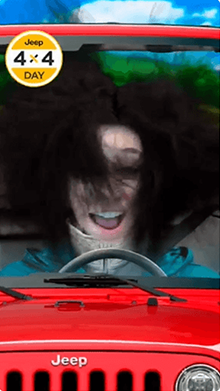 The theme of the lens is “Jeep Hair Don’t Care,” which is a phrase that car owners use to describe their hair flying around with the top down. 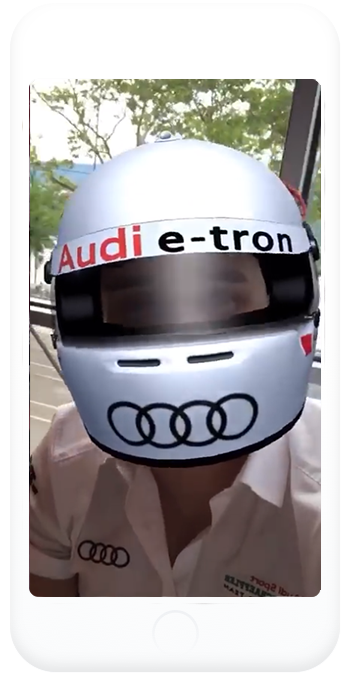 The Snapchat lens shows users driving a car and when someone raises their eyebrows, the lens triggers hair to fly across the screen. Twentieth Century Fox has bought up nine Sponsored Snapchat Lenses to promote the forthcoming “X-Men: Apocalypse” movie. 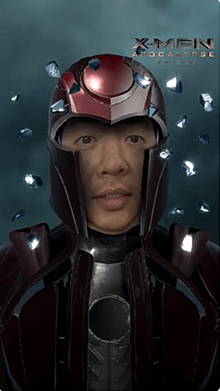 Snapchat users can overlay their selfies with nine X-Men characters: Apocalypse, Beast, Professor X, Cyclops, Mystique, Quicksilver, Magneto, Nightcrawler, and Storm. With a launch of its new Honor 10 smartphone, the brand wanted to get people into its own world. 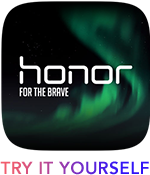 See the Norhtern Lights using special Facebook Camera Effect. No teleportation skills needed! The new lenses will allow fans to apply virtual club-themed face paint and also play a mini game in which they can head a football in real-time. Fans of Arsenal, Chelsea, Everton, Liverpool, Man City, PSG, Marseille, Bayern Munich, Dortmund, Juventus, Inter Milan, Atletico Madrid and Barcelona are all catered for. The Gatorade dunk—or “shower” or “bath,” depending on the TV announcer—is a Super Bowl tradition. 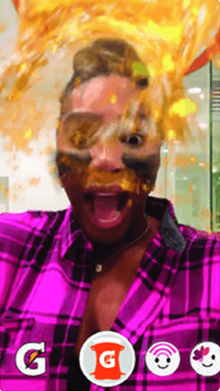 And the sports drink is playing that up for its Big Game ad campaign on Snapchat, showing an animated GIF of tennis star Serena Williams getting virtually doused. Fox ran a Sponsored Lens campaign promoting the second half of Season 2 of its drama Empire. 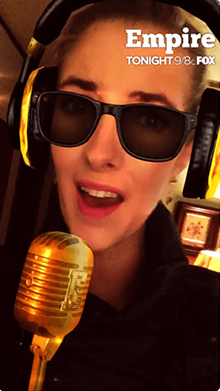 The filter overlaid a graphic of a pair of headphones and sunglasses over Snapchat users’ faces with a microphone that they could pretend to sing into. 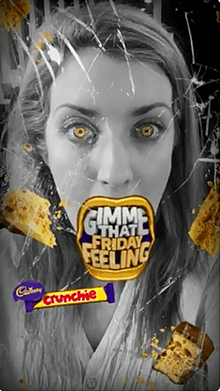 As Cadbury wanted to reach as many eyeballs as possible, Hrdlickova opted to create three different lenses for the Crunchie campaign.  In keeping with the bar’s “Get That Friday Feeling” tagline, these were released to users over the last three Fridays in May. The brand had been aiming for a total of 10 million views for the lenses. Its first, which morphed usersâ€™ faces into a golden disco ball, attracted 9 million views. Cadbury does not yet have data for the other two, but initial signs indicate they also performed well. 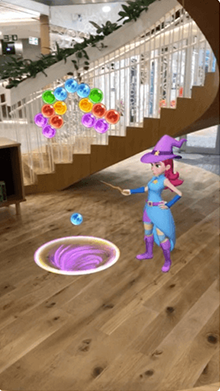 The first lens is “gamified,” asking users to move their heads to aim a magic wand with the goal of popping as many bubbles as they can before time runs out. 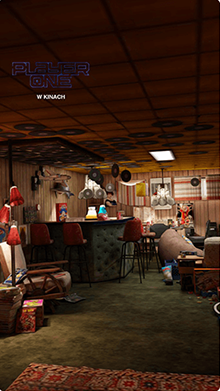 The second lens, meanwhile, is augmented-reality-focused and features Stella, the game’s main character. 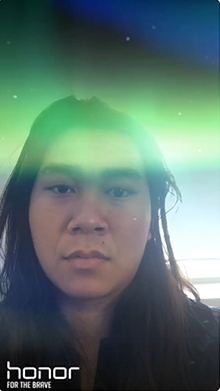 With this lens, Snapchat users can move Stella around the screen and watch her cast spells. 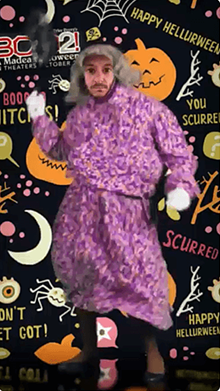 Leading up to the new season premiere, GLOW worked with VH1 consumer marketing and Snapchat to create an innovative first-to-market Snapchat Lens that gave fans the opportunity to turn their user experience into a custom photo shoot, complete with a stylized contact sheet of images at the end of the process.